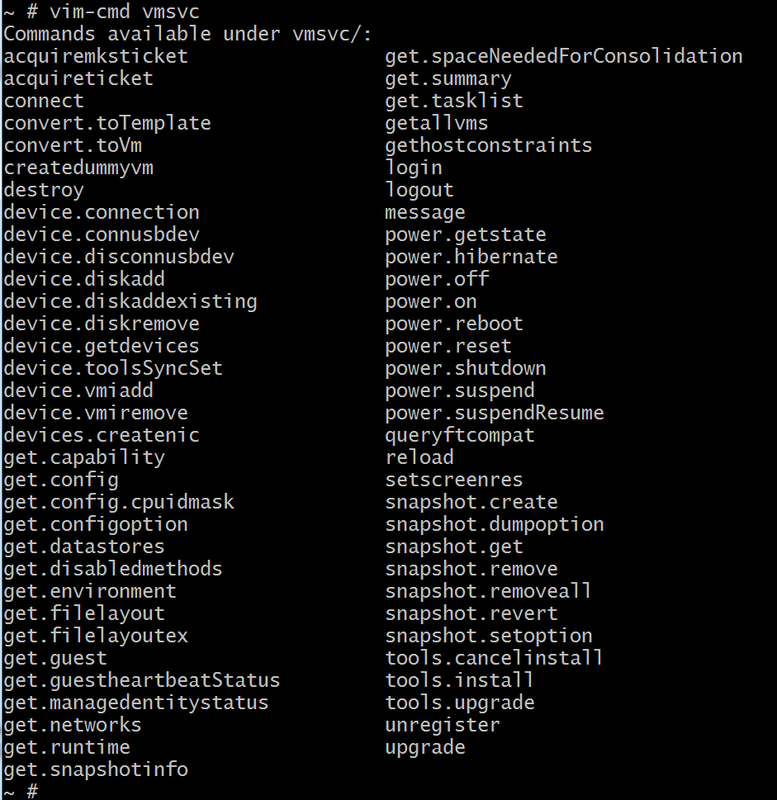 I am going to spend some time trying to figure out how to use the command line tools in ESXi. This is my first attempt down that road. 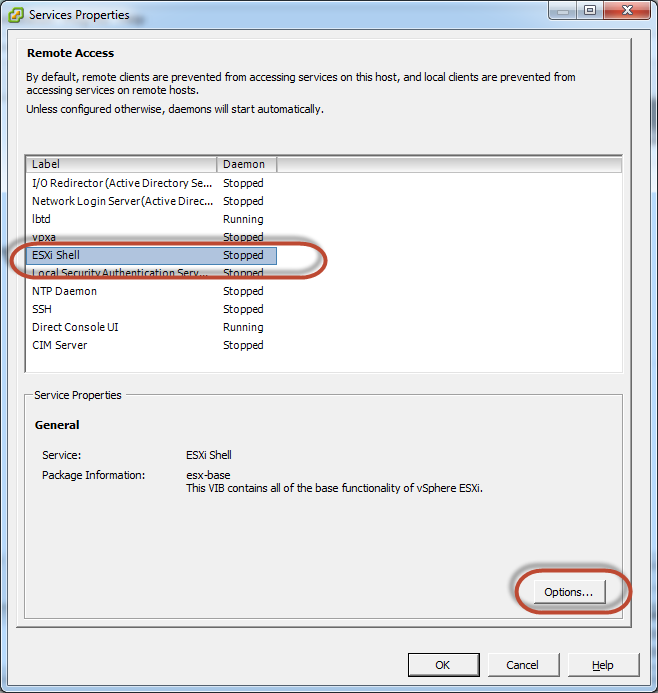 If I am going to do this via the command line I need access to the command line on the ESXi box itself. 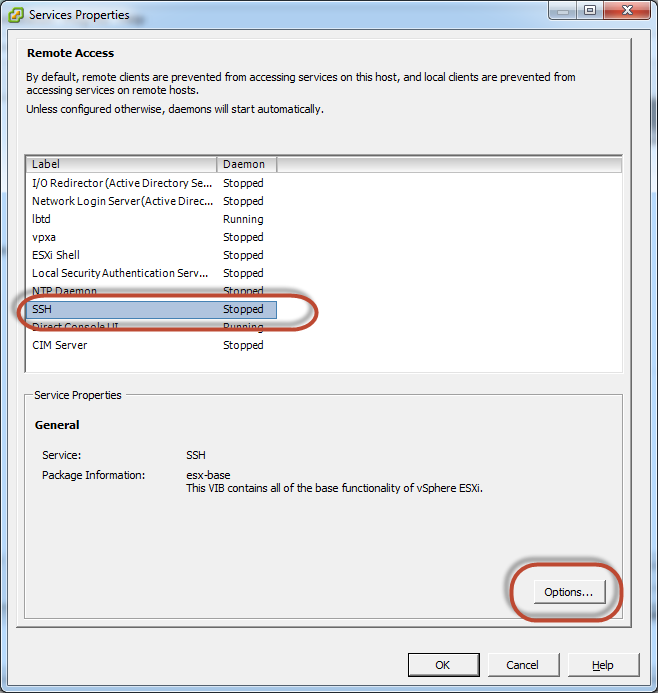 To do this I need to turn on ESXishell and SSH access. 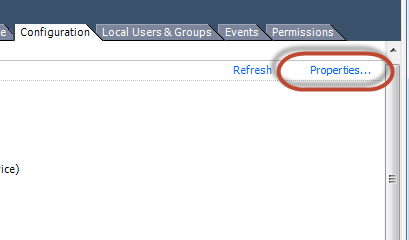 Click on Properties in the upper right. 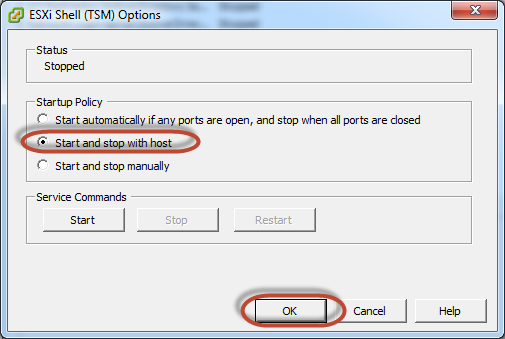 Select "Start and stop with host" Then click OK.
Now select ESXi Shell and click Options. 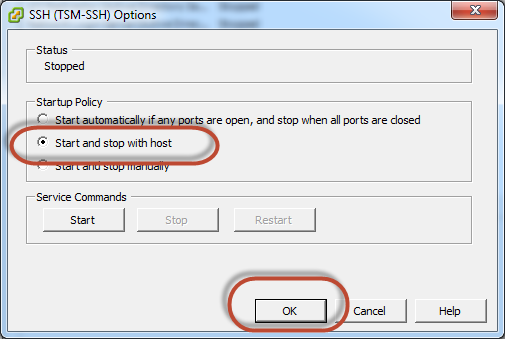 Select "Start and stop with host" and click OK.
SSH and ESXi Shell are not running yet. 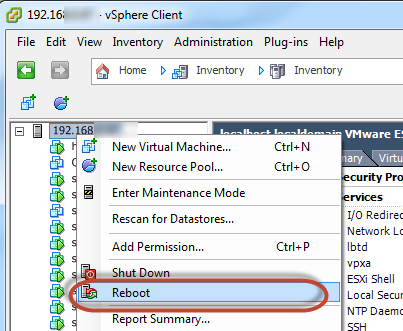 But if you reboot your ESXi box they should come up automatically. Right click on your box and select Reboot. Give a reason, if you want, and click OK. Wait for it to reboot. Now SSH and ESXi shell should be running. My plan, in the long run, is to have another server run some commands via ssh. 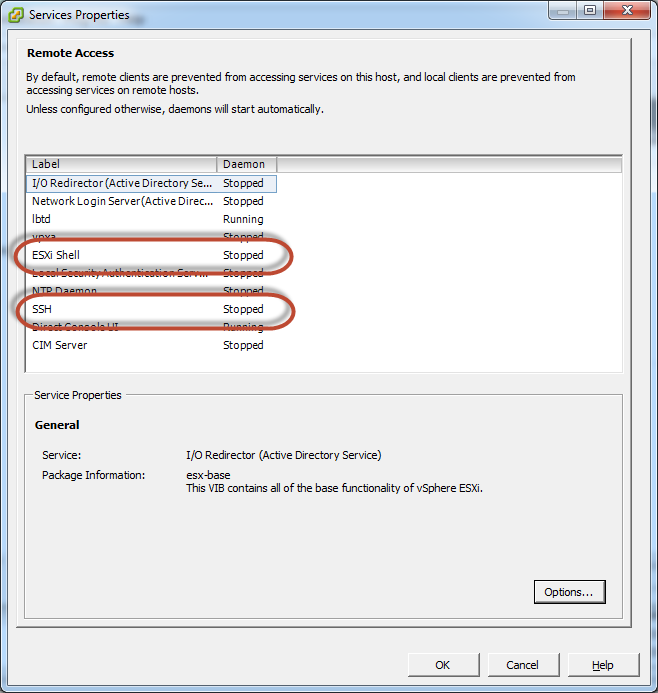 To make this work, easily, I need to put my public ssh keys on the esxi box. Copy over your public key from your box. Now you should be able to login without a password. 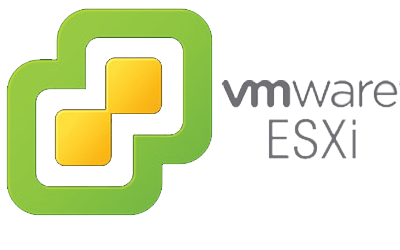 Before I start into this here are a few sites I found that show some example commands to query the ESXi server. 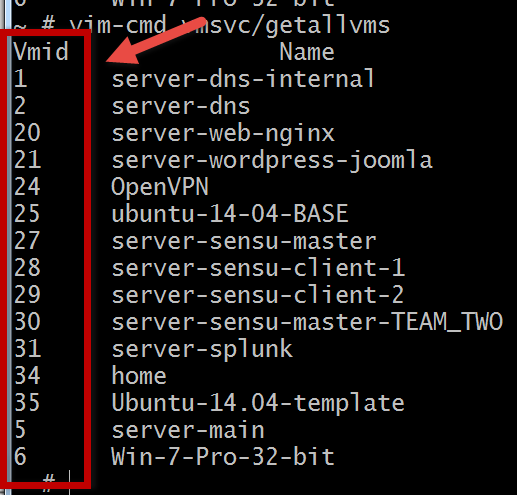 There is more information deisplayed, but here you can see the Vmid for each VM I have, and the name for each VM. The VMID is important to note as it's needed for many other commands. 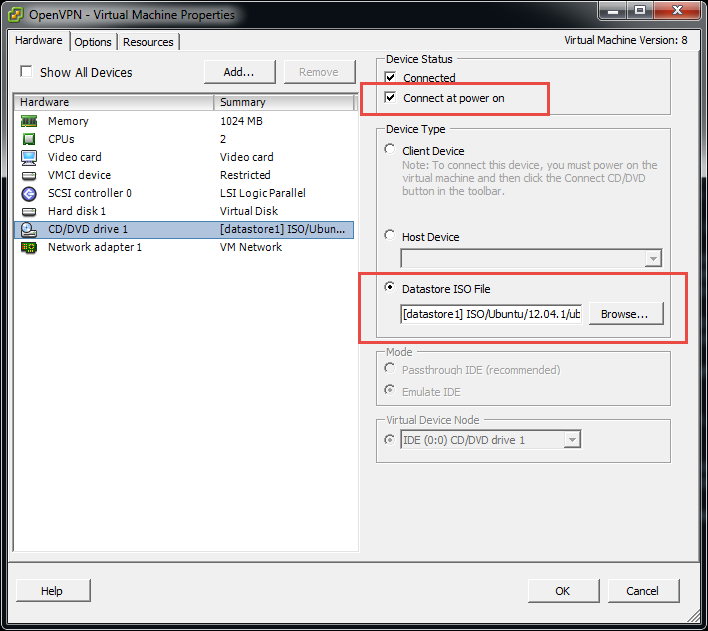 Many of the tools require VMWare tools installed on the VM. 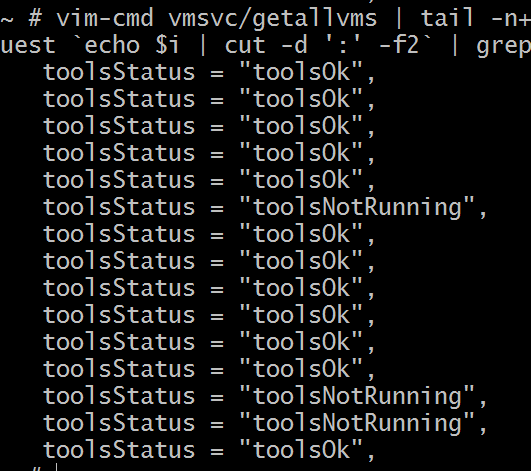 Run the folling command, replacing vmid with the id of the actual VM. Looks like some of my machines don't have it installed or have an old version. Here is a longer command that will see if the tool is running on all the machines. Looks like I have not been properly keeping things clean over the years. Before I go on I need to install the VMware tools on all these machines. 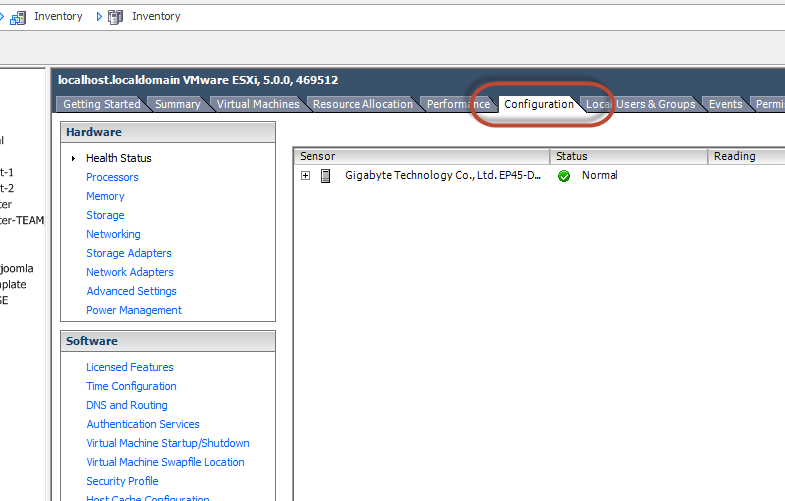 And choose Guest -> Install/Upgrade VMware Tools. This would mount a CD to the VM. Then I would follow a procedure to untar the files and install the tools. 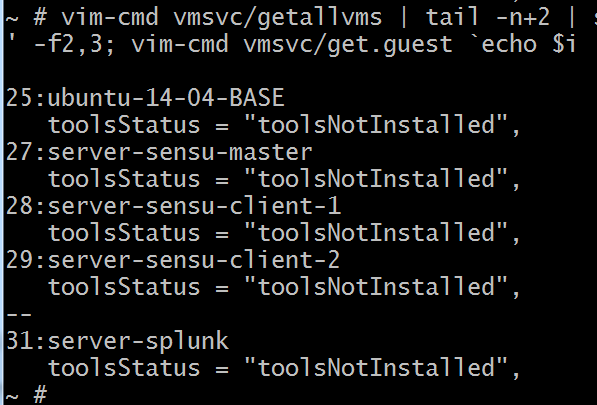 But, now I am wondering can I mount the tools from the command line? This servers vmid is 24, it has no tools installed, and it’s off. I forgot what static IP I set for this server so let me see if I can look it up via the command line. But, it does not work… I am guessing because the tools are not installed. 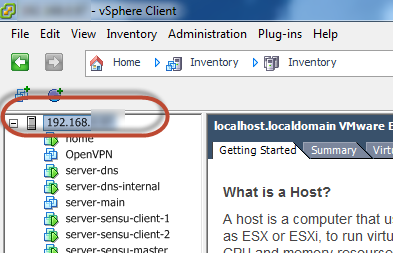 OK now I am logged in to ESXi in one window and this OpenVPN server on the other. 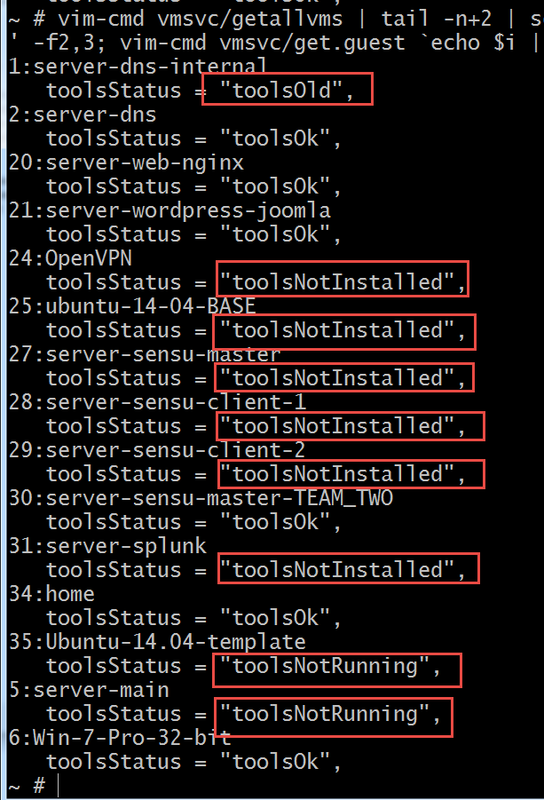 Mount the Install Tools to the server with this command. Looks like that kinda worked. I set it to no and clicked OK so I could investigate. Yep that is exactly what happened. Can I toggle the connect at power on via command line? Since the Machine was on I got this pop up. Click OK.
OK, let's try this again…. 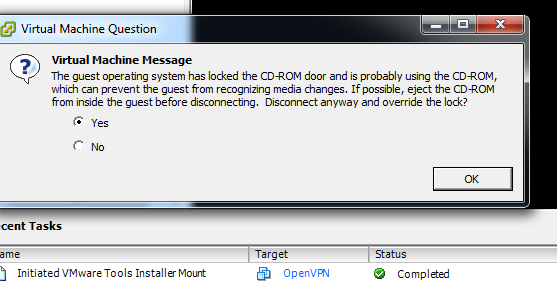 Here is the procedure I used to mount the CD and install the vmware tools. The -d option will answer all the question for you with the defaults. To confirm from the command line its running. 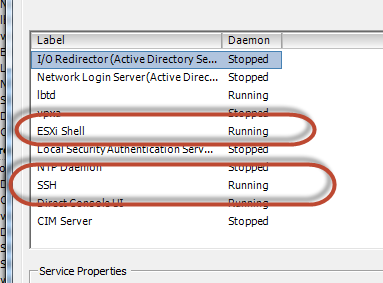 Go to the ESXi shell and run. 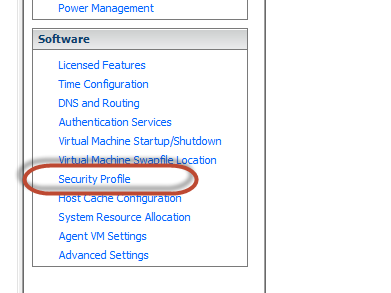 I am going to follow this procedure with all my other servers that don't have VMware tools installed. I am going to quickly mount the tools on all of these. 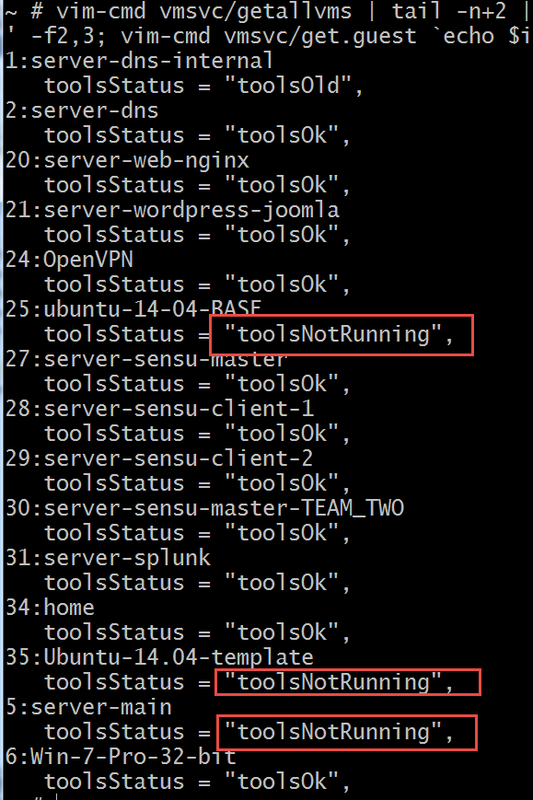 I do have one server with toolsOld. I guess I need to update the tools. I think I can do this via command line, let me try.